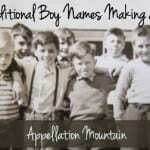 Classic boy names have been great choices for our sons over many generations. They’ve been worn by saints and kings, scientists and political leaders. Most names are easily translated, have a few go-lsto nicknames, and are impossible to peg to a specific decade. The majority of these bring to mind a Founding Father or two, and you’ve probably met a handful of men and boys with every one of these names. Timeless, traditional, impossible to pigeonhole, easy to wear. There are many good reasons to consider using classic names for a child born today. And yet, it’s not always easy to define classic boy names. Plenty of mainstream favorites – like Ethan, Joshua, and Oliver – have a traditional feel. But their use isn’t as consistent over time as you might expect. Other names, like Ryan and Lucas, feel like they’ve been around forever, but are actually part of twentieth century trends. They represent the most common English form of a name. So while Juan very nearly meets these criteria, it’s John that makes the list. While none of these measures are perfect, here’s the really slippery one: it feels like it would widely be considered a classic. 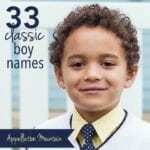 Read on for the twenty most popular classic boy names in the US. Coming in at #20 on our classic boy names list is George, ranked #134 in the US. It’s the name of the first president of the United States, the future heir to the British throne, and a long list of accomplished men over the ages. George comes from a Greek word meaning farmer. The first notable to wear the name was Saint George, a Roman soldier martyred under Diocletian in the third century. There’s a whole legend about him fighting a dragon, a favorite subject for artists over the ages. The name was a Top Ten staple through the 1930s. It’s been out of favor in recent years, falling into the 150s and 160s at the start of the twenty-first century. But the new British prince helped popularize the name again. As of 2014, George ranks #134 in the US. Theodore won this year’s March Madness Baby Names – proof that even classic names can feel fresh and stylish from time to time. In fact, Theodore briefly fell out of the US Top 250, possibly for fear that it had became as much of a chipmunk name as Alvin. But overall, it’s hard to argue that this name is anything but a classic. It’s been worn by a handful of saints. The Russian form, Fyodor, is the given name of literary giant Dostoevsky and artist Tolstoy, not to mention Theodor Geisel – aka Dr. Seuss. And Theodore Roosevelt was the 26th President of the United States. Nickname Theo probably explains some of Theodore’s new found popularity, since it sounds just like the popular Leo. As of 2014, Theodore ranked #126 in the US, and is poised to return to the Top 100. Bobby is a member of the Brady Bunch, Janis Joplin’s boyfriend in her posthumous hit song, a young chess prodigy. It’s a nickname that feels faded and a bit dated in the US, though British parents have embraced Bobby in recent years. Meanwhile, Bob is your grandfather. Robbie and Rob are much tougher to pin down. And that’s the allure of classic boy names. Robert has never left the US Top 100, and ranked #1 from 1924 through 1939. It’s a name that feels traditional, but not out of place on a child born today. As of 2014, the name ranked #61. 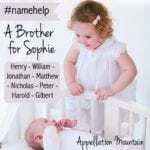 It’s among the most popular names since 1900, and is the only non-Biblical boys’ name to ever reach the top spot in the US. Oh, Henry! A long-time classic name, worn by a much-married English king, poets (think Longfellow) and philosophers (think Thoreau). It’s as distinguished as any of the classic names for boys. But Henry also feels fashionable in 2016, and that’s a tricky thing. How can an evergreen name that’s never truly been out favor be deemed fashionable? Blame it on Hollywood. Julia Roberts has a Henry. So do Minnie Driver, Colin Farrell, Rachel Weisz, Emily Deschanel, Amanda Peet, and Heidi Klum. And while it’s true that Henry has never left the US Top 200, it’s also true that Henry has climbed to #33 in recent years – the highest the name has ranked since the 1940s. Henry is a brother for other classic-but-stylish picks like Theo and Alex. In some circles, it’s also far more popular than you might imagine – not just Hollywood. After years as the reigning go-to name for boys in the US, John has fallen. And how! As of 2014, the name ranked just #26 in the US. Or is it that deceptive? Because if you add up all of the John- names – Jack and Jackson and Jonathan and Ian – John is still quite the influential name for boys, even today. 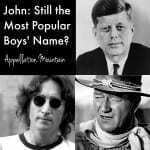 If you’re all about classic boy names, that makes John an interesting possibility. Worn by two New Testament figures, poets and kings, as well as presidents John Adams and John F. Kennedy, and musicians like John Lennon, it’s hard to argue with the enduring and versatile John. There’s something unassuming about Sam. It’s an easy name to like, an Old Testament classic that’s friendly and approachable. Mark Twain was originally a Samuel. Founding Father Sam Adams came from a family of brewers, so years later, a beer company borrowed his name and likeness for their now well-established brand of lagers and ales. Samuel L. Jackson lends this name some edge. No surprise, then, that Samuel ranks a very popular #23 as of 2014 – and makes it on to this list of 20 classic boy names. Andrew has a nicely Scottish vibe. Saint Andrew is Scotland’s patron saint, and Saint Andrew’s is one of the world’s most famous destinations for golfers. Andy is the obvious nickname – think Toy Story and all of its sequels – but Drew works beautifully, too. It’s a New Testament name worn by notables in many fields, from the arts (Warhol) to politics (presidents Jackson and Johnson) – though the NFL’s Drew Brees is just a Drew. The name ranked #22 in the US, down from its peak in the 1980s, but it remains a solid, traditional choice for a son. Anthony is dashing. Tony is down-to-earth. Conventional wisdom holds that every Anthony will inevitably be a Tony, but I don’t think that’s necessarily the case in 2016. Mad Anthony Wayne was a general during the American Revolution, which gives Anthony some Colonial cool. It’s also the given name of actors Hopkins and Bates, as well as Iron Man, Tony Stark. Anthony has ranked in the US Top 100 since 1900, and in the Top 25 from the 1960s through today. That’s an impressively steady history of use. Few would argue that William is a classic, and it’s worth noting that the name is a perpetual Top 20 choice – so in this case, the numbers bear out that perception. It’s not always the case! William is regal, but shortens to modest Will and friendly Billy. Style star Liam started out as a short form, but is now bestowed independently. Famous bearers range from Prince William to William Shakespeare. Smokey Robinson is a William; so is the eldest Weasley brother in the Harry Potter series. It’s Brad Pitt’s first name, and it’s been worn in the White House, too – not once, not twice, but four times. Of course, William isn’t just classic. It’s also very, very, very popular. It’s a solid Top Ten pick, and has been for nearly a decade. That’s doesn’t make the name any less great – it just means that an awful lot of parents know exactly how great a name it is! Former #1 name Michael wasn’t always a chart-topper. In the beginning of the twentieth century, it hovered around the fifty mark – traditional, yes. But the go-to name for a generation? That didn’t happen until 1950s. And 60s, 70s, 80s, and into the 90s. If you’ve forgotten someone’s name, there’s a good chance that it’s Mike. From the dad on The Brady Bunch to the King of Pop, from Channing Tatum’s character in Magic Mike to the one-eyed green monster of Disney-Pixar fame, there an awful lot of pop culture references for the name. Well before any of those Mikes were a blip, there was the archangel Michael, a significant figure in Judaism, Christianity, and Islam. Which means that while Michael has faded in recent years, it remains among the rock solid, classic names for boys. Alexander belongs with classic names for boys. There’s Alexander the Great after all. And yet, if you went back to the 1950s and 60s, Alexander left the US Top 200. Not by much – and the name has been in more years than not. But it’s a good reminder that classic boy names do come in and out of favor. Today few of the classic boy names are as hot as Alexander. Credit goes to the letter x, so in style right now. It’s also nickname rich, from obvious Alex to new favorite Xander, along with some less expected options. Yes, James has recently become a go-to middle – and even first – for girls, especially in Hollywood. But that hasn’t taken any of the shine from James as a boy’s name. James re-entered the US Top Ten in 2014 for the first time since 1992. Not that the name ever fell far. James is one of the few classic boy names that’s never left the US Top 20. While every James was once Jimmy or Jim, James today is likely to be Jamie or just James – though I recently spotted a James nicknamed Jem! From Captain Kirk to six US presidents, plenty of distinguished men have answered to James. It’s a rock solid choice for a son. I can’t helping hearing Elton John singing, “Daniel, you’re a star …” when I see this name. Parents of young children probably think Daniel Tiger’s Neighborhood. And then there’s Daniel and the Lion’s Den, a Biblical story as familiar as Noah and the Ark. It feels like a traditional name, but one with a lot of pop culture appeal, too. Daniel Radcliffe is most famous as Harry Potter. And, for the moment, Daniel Craig is still known as James Bond. There aren’t any presidents who answered to the name, but Daniel Boone lends a certain Americana appeal to the name’s story. Benjamin might not have made this list in the 1960s. While Benjamin was a Top 100 pick in the early twentieth century, it was never super popular. And it faded around the middle of the century, never mind Founding Father Benjamin Franklin or former US President Benjamin Harrison, to say nothing of the Biblical Benjamin or Benjamin Bunny. But today Benjamin is in the midst of a global renaissance that leaves no room for doubt – this name is a classic. At #12 in 2014, it’s just outside of the US Top Ten, and it’s also popular throughout Europe. Like Daniel, it’s buoyed by its popularity with Spanish speaking families, too. It’s undeniably a classic, though it’s not quite as perpetually popular as William or James. With Hollywood Bens like Affleck and Stiller, as well as historic ones, there’s something about this name that feels perfect for a boy born today. I think of Matthew as a 1980s name, and indeed, it was very popular in that decade, holding steady at #3 from 1981 through 1994, and then climbing to #2 briefly. But Matthew is every bit a Biblical boy, one of the twelve apostles. It’s been in use over the ages. Like many names on this list, it spent some time at the fringes of the US Top 200. Gunsmoke’s Matt Dillon gets credit for reviving the name and reminding parents that Matthew is classic name for boys. It’s very much in the spotlight in 2016. Famous bearers include actors Matt Damon and Matthew Broderick, as well as fictional characters like Downton Abbey’s Matthew Crawley and Daredevil’s Matt Murdock. And yet David is a great name. It’s Michelangelo’s most famous sculpture, the Bible gives us King David, and the name is known is nearly every European language. On sound aloud, David would certainly be popular today – Caleb, Everett, Xavier. Except David actually reached #1 way back in 1960, and spent quite a bit of time in the Top Two. So while classic boy names like Benjamin and Henry feel fresh today, David is keeping company with Robert – every bit as traditional and solid a choice for a son, but no longer quite as style. Confession: It’s probably my favorite name on this list. If I were to record “The Daves I Know,” I’d have to sub in the name Joe. While it’s never been the top name in the US, it’s almost always been in the US Top Twenty. In fact, it stands at #20 now. It’s an impeccably Biblical name, but it’s a friendly one, too. Joe is Joe DiMaggio and your cup of morning coffee. It rhymes with go and show and whoa! But it’s smart and scholarly, too. Joseph Heller and Joseph Conrad make it literary, and it’s saintly and regal, too. If Joseph isn’t for you because of the nickname Joe, there’s also Joss – as in Whedon – as well as Seph. 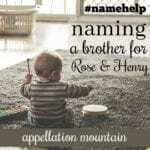 If you’re interested in classic boy names, don’t overlook Joseph! Wow! That was a lot of names to get through. 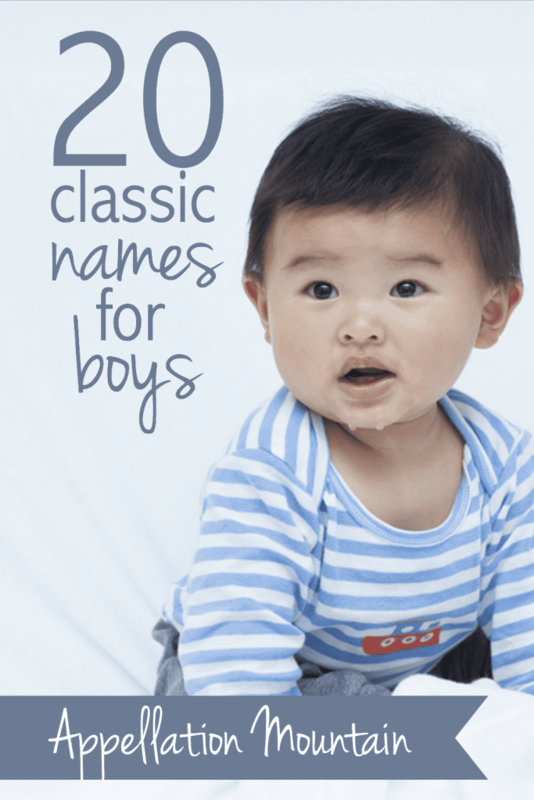 Which classic boy names are your favorites? Are there any you would use for a son? Just a small note on “Theodore”– Fyodor Tolstoy was a 19th century artist, but the “literary giant” was Leo (or “Lev”) Tolstoy! I’m so surprised that I don’t see Thomas here! Theodore’s inclusion comes as a surprise, too. Oh, Thomas *should* have made the list! That’s definitely my mistake. I really enjoyed this list! I have a soft spot a mile wide for Daniel, Anthony, and William. On the other hand, I can’t stand Joseph or Samuel and Matthew is forever Matthew Cuthbert from Anne of Green Gables. I’d be interested in which names almost make the cut. I’m guessing some of the less used biblical names like Joel and Mark, and the one I was very surprised not to see: Thomas. And possibly some of the non Biblical names that I think have more Germanic/Anglo-Saxon roots: Edward, Albert, Carl. Simon is a classic name to me that hovers below the super popular but seems timeless! There’s definitely room for a Twenty MORE list! Love almost all these names! George is the only one I don’t really care for. I have sons James and Andrew. I also have a Paul which didn’t make the list but meets the first 3 requirements.